It seems you can’t take a couple of weeks off of work without working double time beforehand. I was too pooped before holidays to post, and too lazy during. I’ve been motivated to write since recently reading an article declaring the blog boom to be dead with millions of personal journals abandoned already. Many apologies for letting the blog go stagnant for an entire month. I’ve got quite a doozy for today’s submission. I had trouble deciding whether to post this publicly but I feel this is good stuff to catalogue for posterity if not relevance. My girlfriend and I are not exactly party animals so we relished the idea of doing nothing super special for new years. However, pending our move into our first apartment we had some dollar store scrounging to take care of for plates and cups and stuff. Not far from one of the city’s more practically-stocked dollar stores is the very intriguing Sacred Seed, an ethnobotanical supplies store offering “medicinal, rare, and otherwise intriguing plants and seeds”. 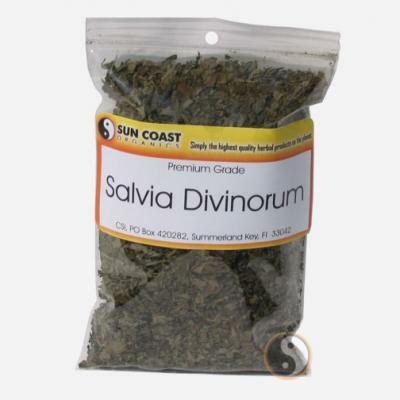 One plant has intrigued and terrified me for quite some time – Salvia Divinorum (Diviner’s Sage) – and particularly piqued my girlfriend’s interest. I reluctantly bought a gram of 7x extract with increased salvinorin content for about $25 with tax. Before partaking I decided to once again research some people’s experiences with this most powerful of psychoactive (yet legal) plants which gave me a little insight about what to expect and how to ready and steady myself (as well as an excuse to stall a bit). I read some general, first time, and difficult experiences which did little to alleviate my anxiety but prepared me for the worst. I shared a few key points with my girlfriend. I tried to chicken out a few times. I told my girlfriend that I’d prefer to opt out that night and save it for another time. Then I changed my mind, but changed it back again. Finally, my girlfriend sensibly recommended that we start off with a very small amount and increase dosage as we become more comfortable. Am I a lucky guy or what? Her sage advice (no pun intended) tipped the scale for me. I opened the little baggie and took a whiff. I’d read that the taste and smell were rather harsh but I couldn’t quite tell from the coarsely shredded plant matter extract. The shreds were a deep green and the extract was dry and a little crumbly with a few brittle twiggy stems. I took out a tiny pinch (maybe 1/100 of a gram) and placed it in the bowl of a glass pipe. My girlfriend asked me who would try it first, and I, having read more about it, volunteered. I sat comfortably on the couch. I heard my heart beating. I was afraid. I steadied myself, quieted my thoughts, and was still. No emotion, only peace. I didn’t need to wait to be ready. I am always ready. I placed the pipe to my lips, flicked the lighter, and gently pulled with my lungs. The plant ignited slowly but uniformly. I filled my lungs about 3/4 with smoke and air and held it for about 20 seconds, breathing in a little more air every 5 seconds or so to bring it deeper within me. I exhaled very slowly and immediately took a second toke, consuming the remainder. I held it for nearly 30 seconds, taking in a bit of air in few-second intervals, and exhaled slowly. A few uneasy moments passed. I felt nothing. Then I thought I detected the faintest inklings of… something. I silently asked myself how my current state differed from that of a few seconds ago and I decided that my vision was very slightly blurred as if everything were vibrating very slightly and very quickly. I waited about 60 seconds before deciding it was safe to up the dosage slightly. It was my girlfriend’s turn. I emptied the pipe and packed in slightly more – maybe 2/100 of a gram. She smoked it but didn’t hold it in as long as I did. I asked her how she felt. She said she felt no different and recommended increasing the dosage even more. This time I packed about 5/100 of a gram (about 1/4 of the pipe bowl). I lit it and inhaled, waited, then exhaled. I felt a little funny. I timidly took a second toke but only held it for a few seconds before releasing. I put the pipe down on the table in front of me. I quieted myself. I knew something was about to happen. I took a deep breath of air and felt extremely relaxed and a little sedated. Then I felt compelled to slightly and slowly tilt my head back as if the force of gravity were gradually shifting, rolling me onto my back. I rested my head against the back of the couch but continued looking forward toward the television and wall. A sort of seam appeared where the wall met the floor. I felt like the floor was one thing and everything else was another thing, and that these things were separating, opening. I looked over at my girlfriend and she seemed amused by my expression and teased me a little. I found this very undesirable and returned my gaze forward. I felt like I was in one of those plastic eggs and I was the toy. The egg was slowly opening before me. My thoughts clouded for a moment and then everything was back to normal. My girlfriend asked me to describe what I’d just gone through. I wanted to tell her but could only do so after carefully considering my words after about 10 seconds of silence. This span was very interesting. I struggled to find the right words but all words seemed to elude me. I wondered whether I’d ever be able to speak again. I finally spoke softly and slowly and carefully. My words felt important somehow. Prophetic. I told her that I definitely wanted to try a bigger dose. I waited several minutes until I felt mostly sober before packing, clearing, and refilling the pipe for my girlfriend. I asked her not to taunt me and she apologized. I explained that the sitter, a mandatory participant in Salvia experimentation, should lead by example as a positive and encouraging partner in the experience. I gave her the pipe. She took two drags, holding it in longer than before. She was quiet for some time. I remembered feeling a little subconscious about being watched so I divided my attention between her and Family Guy. I finally asked how she felt and she took her time before saying her first words just as I had. She said she felt “like water”. I asked if she could elaborate and she said she felt like a sloshing liquid and couldn’t move. I told her to will herself around the environment but she insisted she was stuck in place. Her attention shifted to the television and she seemed quiet and content so I didn’t want to bombard her with questions. I emptied the pipe and filled it with about 1/10 of a gram this time. I took in 2 large drags, holding it for about 30 seconds each time, and leaving a small amount of plant in the pipe when I put it down. Again I felt like I was tilting, being pulled backwards on the couch. I returned to the egg, as it were. I felt as if I were inside a dome of some sort, and that there was a crack between the wall and floor. That crack was significant, I knew, but I was afraid to explore it. I think I really craned my neck and looked up and around at my surroundings but I might have just imagined it. I couldn’t discern the walls from the ceiling. My brain knew I was sitting in my living room but my eyes told a very different story. My girlfriend, whom I still recognized, looked at me and gave me a very slight smile of care and amusement. She glowed and was very beautiful. She asked me to describe my state and I told her I was in the dome but that it was composed of something less tangible. I felt like I was inside an orange, surrounded by peel which was rubbery, thin, textured, and flexible even though I didn’t try touching it. I felt like this thin veil was the reality I’d perceived up until that point and that there was some great truth barely beyond it. I didn’t want to touch that veil. I didn’t trust myself to stand. I blinked and the world was back to normal. I wanted more. My girlfriend tried the same increased dose next and reported similar feelings as before. She felt as if her bones had suddenly disappeared and had transformed to a liquid state; her immobility completely at the mercy of her flat surroundings. I couldn’t find any similarity between her recollection and my own experience. Curious. I upped my next dosage yet again, increasing to about 1/5 of a gram. This was a bigger step up than previous increments but was still smaller than the dosages reported by all the experiences I’d read on Erowid so I felt it would be safe. I took my first toke and held it for 30 seconds. I exhaled very slowly. I immediately felt myself sinking and debated whether to take a second toke. I did. I exhaled and put the still-smouldering pipe on the table far from my reach. I sat back. I didn’t feel like I was sinking anymore. I looked around a little and felt lightheaded and blurred. This eerie state of limbo persisted for maybe 5 seconds before it hit me. My gaze was forward with the television bisecting the carpet beneath and table before me. Behind the TV was the wall and the floor that met it. I heard a sound of some sort – a sort of whooshing and ringing and white noise that overwhelmed my aural senses. I could hear nothing else. The colours around me suddenly became very vivid and everything felt very distant. I felt a separation of body and self, though I felt mySELF to be trapped within my head. I felt like my body was limiting my freedom and was not troubled by the idea of ripping off my head to free myself. Suddenly I perceived (“felt” is the wrong word) a huge LURCH and my perspective of reality completely deteriorated. The floor stayed put but the television and wall stretched upward and over my head in a kind of pattern, over and over repeated a million times, in a towering yet sizeless dome. Then the wall and floor split yet again. I felt mySELF being pulled toward this fissure. I resisted. This place I was perceiving insisted on convincing me of its reality and denying the reality I grew up to recognize. It was working, yet I resisted. I felt my torso careening toward this crack in reality, but my feet remained on the ground and my head remained reclined on the couch. I consciously remembered to breathe 3 times during this occurance. I don’t know how much time passed – somewhere between 10 and 45 seconds I suppose. I don’t know what happened next, if anything. The next thing I remember is sitting on the couch in the real world beside my girlfriend with the television on. Everything was normal again. I felt like I should be afraid but I wasn’t. I was without emotion. I feebly attempted to address my girlfriend’s request to describe my state but I could hardly find the words. I’m not describing it correctly even now after much reflection. I swear I perceived things using senses I’d never used before. I can’t explain it. I was a little confused and curious, but had no desire to continue my experimentation until a later date. I was too frazzled to pack the pipe again for my girlfriend and she didn’t ask for more. I didn’t feel like I could be a responsible sitter anymore that night anyway. For a few hours I felt subdued and sombre but not depressed or sad. I was reflective on what I’d perceived and where I’d just been. For some time I noticed that vibratory buzzing effect on everything around me yet my vision wasn’t impaired. Walking between our room and the kitchen I passed by the scene of my traversal a few times that evening and when I looked toward the television I stopped in my tracks and braced my stance by leaning on something, my face became totally serious, and I pictured that stretched dome effect. I couldn’t simply walk through to the kitchen until the next morning when it didn’t occur to me at all. I felt no hangover or ill effects. I didn’t feel depleted or headachey or dehydrated. Really, I felt fine physically and my thoughts were focused but on strange topics. What had I seen? What was beyond the crack in the wall? If I find out can I even come back? If not, what will remain of me in the “real world”? What is self? Am I my body or do I drive it like a car? Does my attachment to my body limit me to three-dimensional perception? And of course, should I take a bigger dose? I already know the answer to that one. It’s not a question of whether, but of when. Not now, but soon. Preparation is not necessary. I don’t need to wait to be ready. I am always ready. I must know. Do I even need to close this report with a warning? I suppose it would be prudent. Don’t consume this or any intoxicant (including alcohol) without thorough research. Only smoke Salvia Divinorum in a comfortable, familiar place with someone you care about supervising you. Most important of all, be confident in yourself and be strong of presence, for lack of a better term. reminded me of my salvia experiences. such a weird experience. wow that sounds like a really interesting experience. I have a question though. I like to think of myself as a deep thinker and I have spent many hours with my close friends pondering reality and the constructs of the mind and such. However I have been told that salvia and LSD can give you really bad trips if you are a person who “thinks too deep” and that it can really bother you and scare you if your reality is changed or distorted. Is this true? You seem like a very smart person and I was wondering if you felt this feeling of fear as what you held to be true for so long was suddenly changed and distorted. Also, did you move during this experience? Did your girlfriend report you swaying as you felt “pulled”? First off, thanks very much to you both for reading and commenting! Second, Andrew, it is with some trepidation that I speak of my psychedelic experimentation using this legal and easily obtainable substance. I don’t have much to say about LSD on my blog. However, I’d like to tell you about a friend of mine. She’s what I would describe as not only a deep thinker, but an incessant thinker obsessed with details who stresses herself out far more than is necessary. She is a rather experienced LSD psychonaut and what she took away from psychedelics is twofold – she has a better idea of the big picture in general, but she is also vastly more aware of minute details than ever before. Double-edged sword. I would say that if one feels up to the adventure of trying LSD or any psychedelic then they’d best be exceptionally comfortable with themselves, and be prepared to commit themselves to the duration of the experience. The key word there is DURATION – there’s no going back, so you must learn to make the most of your situation no matter what. And finally, while my girlfriend didn’t tell me whether I was swaying during the “pulling”, I’m quite positive that I leaned way back on the couch so that I was almost looking straight up at the ceiling, like at a planetarium. I was very aware of this because it was one of the last couplings of my ego and my body at the moment. To answer your question about fear of ego loss, YES, I’m terrified of the concept. That’s why I’m still waiting to try it a second time. It’s going to be very soon because I’ve alleviated my fears somewhat having spoken to some kind people on Digg who told me that they’ve consumed rather heroic dosages of Salvia and always felt on the brink of ego-loss, but never quite stepped over the edge. I’ve read experiences on Erowid that suggest otherwise, but I’m almost ready to face the music. Did you know the etymology of the word “thug” is a Hindi word meaning someone who cheats? Cheater, biter, love to forge? Better yet I’ll call you Curious George. Thanks for writing, Georgie. You bad. Have a banana. I know what you mean, anonymous. That’s why I haven’t tried it again since New Years. I’d like to, sort of, but I don’t know if I will. I’m in no hurry, anyway. I’d take you more seriously, steve, if you hadn’t proven you’re so afraid to try punctuation. I’m surprised you had such an intense experience off of such a small amount of Salvia 7X. I smoked 1/3 gram of 15X the other day and felt as if i was in a dark room with a strobe light. i had to walk around with my arms out so that i wouldn’t run into anything. i had no concept of time. what was probably 10 min. felt like an hour. I’ve been taking Salvia (40x) for over a year now, (not on a regular basis, but occasonally) and many of my friends have tried it. I’ve seen people who loved it, experienced about the same as you did (shifting of dimension, feeling of being pulled backwards or being a different creature) and some, who would never do it again. By the way. The reason why it doesn’t work for most people the first time is, that you have a natural thing (I’m sorry i don’t know the english word for it :)) in your body that undermines the effects of salvia. I think I felt a combination of all the sensations you mention. It was incredible and liberating, but I felt afraid and that I was closing my self off from its true potential. I’m glad I did it but I’ve still got that same unfinished baggie, untouched, 2 years later. Will I try it again? I just don’t know. Not today though! Thanks for writing, Miss! I’d love to hear more about your own experiences if you’d care to share. Wow, both yours and her experience are so very very different than mine have been. I feel curious if our emotional state takes us into different pieces of the salvia world. My journey usually takes me to a place where lines appear and their is a knowingness that these lines are actually cartoon-like beings of the salvia world, kinda taunting playful beings sharing messages with me. I did salvia and I held it in for like 25 seconds then I was just staring at the ceiling saying, “Wooow”. I defiantly recommend it if it’s legal in your state!